Internet and Indian youth are two inseparable threads that are weaving the face of our nation at the speed of light. Books and newspapers are fighting a losing battle against what is becoming the future of a more modernized and globalized India. If we have to summarize India’s future with internet in a nutshell, it is nothing less than brilliant. Greater Internet means cheaper internet: There was a time when having an internet connection at home was meant for the richer upper class, or for people who were supposedly more “advanced”. These days not having an internet connection at home is equivalent to not having any butter in the fridge. With the large number of internet connections getting installed each day, the cost has gone down and has become easily affordable for all. People’s worlds are on the web: From online shopping, to booking flight tickets, everything is done online. With the increasing stress at work, people do not have time to shop or even get groceries. Making these facilities available online, the younger generation is becoming more and more dependent on what can be ordered online and home delivered. Social Networking: People in India, especially the younger generation sleep and eat through popular social networking sites like Facebook and Twitter. No one has the time or patience to wait. Instant chat and messaging through such mediums has become popular and this trend is only inclined to grow forward and not backward. Employment: With so many job search portals like naukri.com and timesjobs.com people now have a quick step solution in finding the right job. The process has become simple for employers as well since they can hand pick the best from any industry and the entire process is uncomplicated and free of any error. The 3G craze: Everything can be easily accessed through mobile phones since they now come with a 3G technology, and this further strengthens the bright prospect of internet in India. The world is shrinking with every passing day because of Internet. What happens somewhere in America can reach the Indian News Desk real time because of the speed at which information is transmitted. In 2010 India was ranked 4th in terms of its Internet users across the globe, and that was just 3 years ago! India is advancing and social media is catching up faster than anything else. The wireless age would be nothing less than extraordinary in times to come. In this emerging online world, the power of words is simply matchless. No matter how catchy the layout of your website is, if it does not offer complementing content, the website will automatically lose its gleam. Writing according to the requirement is necessary for your business and your website. A content writing agency is the perfect solution to help you grow your business by writing compelling content to attract visitors. These agencies offer a number of services. Website content writing is one of the most significant aspects of your web page. Good content is the only means to communicate with your visitors and as you know, first impression is the last impression, so why not write content which is perfectly written and persuasive for the visitors. Good content is one of the best ways that can bring success to your business. For this, you just a write-up which is written in an aesthetic manner with all the business technicalities to satisfy the need of the viewers. Blogs serve to be the most effective tool for internet marketing, as through blogging you can share your company’s proficiency and connect with your clients and customers. Trained content writers write exact theme-based quality blogs on your behalf to boost your business. Whether you wish to promote your business or your brand, an effective theme based article on the website generates traffic on the website. When you regularly submit articles, it gets indexed by the search engines like Google and increases traffic and profits. To create and rear your identity, creative and experienced content writers are involved in this task. In this era of the Internet, a press release is an easy and effective way to reach out to your audiences. A well-knit press release can bring your company to the forefront and increase your sales. Experienced writers provide the best of services and also make sure that the information is newsworthy. You can take your enterprise to great horizons by the numerous services provided by content writing agencies. The world now mobilises with the help of Twitter. The “SMS of the Internet” has pervaded into the life of more than 500 million users worldwide. Naturally, Twitter is eyed as a one of the most lucrative platforms by marketers and advertisers. However, marketing on twitter requires a little slant in your approach. 1. Trigger Grapevine: Twitter is purely people-to-people communication. Marketing strategy should focus on engaging people and initiating them to talk about your brand. Rather than disseminating promotional messages, give people something to talk about. 2. Go Personal: On Twitter you cannot adopt your run-of-the-mill mass communication approach. When using social media for marketing, it always pays to target people individually. Twitter is about real people and adding a personal touch to your tweets helps to actually connect with people. 3. Reason to Follow: This goes without saying that sans followers all marketing strategies would amount to nothing on Twitter. Listen to people, talk to them and help them out. Unless you offer some value in your tweets, people would not have a reason to follow you. 4. The Syntax: On Twitter, you have to follow a specific syntax to be heard. Twitter is about being crisp and to the point sans the fanfare. Your hash tags also play a critical role in making your tweets more prominent to your relevant demographics. It also helps to maintain a syntax that can be re-tweeted easily along with comments. In the realm of Internet marketing, Twitter is a unique platform which is exceedingly nifty and instant. The most apt use of twitter is not as just another channel of communication but as a catalyst of conversation. Remember the uninformed and surprising entry of the Facebook Timeline? A number of us did not like the very idea of it, and its usage was definitely not in question. Many of my online friends were completely against it and voiced their criticism against the time-line feature pretty openly. Discussions about the time-line that led to unfair opinions against Zuckerberg and his declining sense of design were so common that I doubt if an unintended viral may not have affected the opinion of even those who would have liked to give a thumbs-up (read: like) to the time-line feature. You may or may not be comfortable with the timeline settings for now but what matters is if you have switched to it then it is indeed good for you. I have a silly habit of searching for things that seem disconcerting. The timeline feature in particular was for example one of the many ‘not-so-important-yet-on-my-mind’ things that undoubtedly was something that I wanted to know more about. Why so much of a brouhaha over something that was only a part of the virtual world? Why is everyone discussing it? Actually, no one was really discussing it. EVERYBODY WAS CRITIQUING. So, I took to studying the timeline and to my surprise what seemed useless for a complete bundle of goodies. I now can’t think of another way of great online marketing. Many businesses as of present have switched to the timeline feature but haven’t been able to figure out how to benefit from it. In a market that is inexorably focused on social media, the Facebook timeline has given businesses some extremely simple ways of getting ahead with online marketing. The cover photo becomes an evident part of your Facebook profile once you have agreed to use the timeline. Inarguably, this is the most important feature of the timeline also as it a strategically thought adding that helps businesses to improve the visual-designs of their companies. This is the place where you communicate with the world in pictures. This is where on-line marketing is at its active most level. 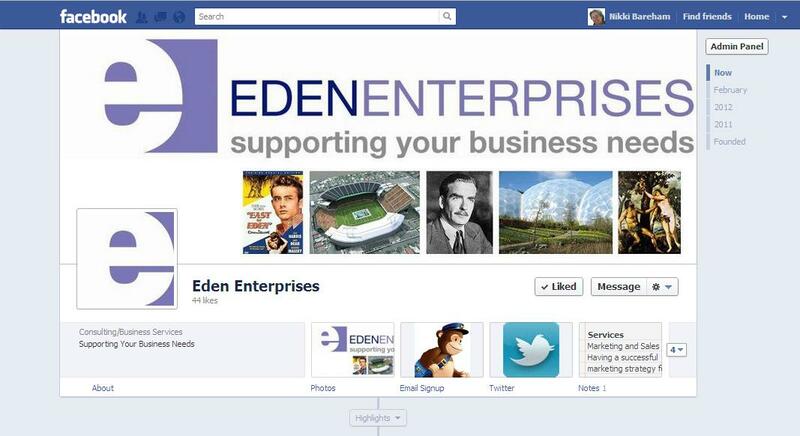 Put a cover photo that draws attention and captures the essence of your business. Be creative, take it seriously and the timeline will come alive, acting as a salesman for your business. Many of us may not know that it’s not just the look that has changed but so has the purpose and intent. Facebook timeline allows a lot more interaction and rendezvous than the earlier version did. You can make use of the template/body at the advantage of online marketing. Highlight items on your page, feature stories, and pin to other websites for a full-fledged online marketing experience. And, then there is a bar to the right-side just below the cover photo which contains four boxes labelled pictures, maps, notes, etc. You can intelligently customize these boxes to display the products, brochures and content of the company. No one paid attention to this, right? Well, the admin panel which is a useful part of the timeline is a feature that monitors all the activity that is taking place on your business page. There is also an “Insight Box” that is helpful to convert the user data into a statistical and/or graphical form. This helps you analyze your popularity and reach towards the World Wide Web audience. The Kolaveri Di about the Timeline took some time to settle but its now time you start benefiting from the well-planned strategy. Go Viral - Viral marketing has proven to be beneficial as a launch pad for many new brands. All you need to do is to make a video on a topic relevant to the brand personality, its goals etc. The video goes viral on many social media websites and relies on its likeability power. A rather informal way of communicating, the main objective of this approach is to redirect the viewers to the brand’s website and inform them of the brand’s presence. Chase the Social Media- If your brand is not present on Facebook and Twitter; you might be from the 20th century. An informal and interesting way of interacting with your customers directly, it makes it easier for many people to know about you. Make a brand page, get the timeline and get started. Talk to the people, hold contests, upload the photographs, get a celebrity to endorse your page and your brand and you will soon rise up in the success graph. E-mail marketing- Sending out emails to your customers is a sure shot way of grabbing attention. Since this activity is known and already practiced, why not sell the new wine in old bottle. E-mailers are known to be boring and irritating and to actually make it work; you need to be unique and different. Use an attractive template with an informal language so that the readers connect with them. Banners and Print ads- Remember that tiny ad you saw on the right side while you were reading your emails on yahoo? Well, those are the ads online. You can post ads of your website or brand on any website you feel already attracts the traffic. Make your ads creative and leave a sense of mystery in their content or a picture to redirect the reader to your website. Blogging- Blogging about your brand is an excellent idea. Set up your blog and invite your existing customers to read and follow it. The content may not necessarily be about your product, but also the interesting facts relevant to the industry etc. E.g. giving fashion tips to the young lads if you are into fashion business. Submit Articles- One of the effective ways of marketing online is submitting written content on the various article submission websites. The articles can be on subjects and topics related to your industry and about your products. They divert traffic to your website and help in better SEO (Search engine optimization) of your website. Form groups and forums- A lesser known marketing habit, you can make use of forming groups and forums on yahoo and Google and add your customers. This will update your customers about the ongoing discussions and the latest from you. In return they will be engaged in your brand and will also do some word of mouth publicity for free. With various platforms of interactive media being launched each day, one has ample options to explore. So, reach out and make a difference! Gone are the days when one had to sit for hours at a table in trade fair, putting up a display and waiting for consumers to come up to you, enquire, complete forms, so that you can earn some leads for your business. Today, lead generation has become as easy as it can be, all thanks to the internet. For those who are not familiar, with the term ‘Lead Generation’, let me elaborate. It is an internet marketing tool devised with the intent of generating consumer interest or inquiry of products and services of any business. Leads are basically required for list building, e-newsletter list acquisition or for gaining customers. The process of lead generation (or gen) consists of developing a website or partnering with several websites which will promote and advertise your service or product and when a customer comes across these directories and finds something relevant to his needs, he completes an online request form. This form is submitted to the agency where the buyers’ information is checked and matched with the suitable provider. The matching leads are then e-mail to potential businesses with complete contact details and purchasing needs. Other methods which may fall under lead gen include organic search engine results and referrals from existing buyers. Every business tries to generate quality leads, leads which are determined by the inclination of the inquirer to take the next action towards making a purchase. The benefits of lead generation are not limited to businesses/sellers only, utilizing leads a buyer can request information from a number of businesses that offer what he is looking for. Lead gen also offers the chance to sellers to pitch his services and products. Why would one assume that lead gen would always be profitable? Well, every one of us uses the internet for research. We research for prices of automobiles, we research gadgets, we continuously research for information – the reason why lead gen came into being. Why is an online presence important? I got the idea for this blog post from an old colleague. When I was new to the company and was learning the ropes around the world of content writing, he has asked me, how strong was my online presence? Back then, it wasn’t much except for a Facebook profile, a redundant account on LinkedIn, an even more redundant account on Twitter and a long forgotten blog. You could say my online presence was anything but impressive. With the advent of social media networking, online presence has become an important tool to help us create our own identity on the internet, improve networking with people around the world and provide career opportunities. Social networking is no more restricted to maintaining contact with family and friends who are far away. It has become a tool for career building. Whether you are hunting for a job or not, widening your online presence and developing valuable relationships is important. People who have an active online presence have a better chance of attracting opportunities and growing professionally, compared to those whose online identity is a sluggish case. CEOs are known to meet with a potential candidate, only after they have Googled their name, searched for them on LinkedIn and other such online networking resources. Businesses, big as well as small, have started using social media for advertising their brand and marketing themselves. Individuals too, need to create their online brand to establish their visibility in their respective field. An impressive online credibility goes a long way in leveraging your professional life, not only in terms of job prospects but also in terms of client servicing. Affiliate marketing – Get ingenious. Earn money. When it comes to the wondrous World Wide Web, there is a myriad of possibilities available for you. From passing time browsing through photos of strangers on Facebook to talking with your far away girlfriend, from spreading public awareness to advertising your products, there’s something for each and everyone for us (employed or unemployed). An internet practice that has gained significant popularity in the past few years is affiliate marketing. It is like conventional marketing but in a more convenient way. Companies continuously look for ways to promote their products and services in a cost effective way, something that would keep the common man interested. Affiliate marketing does just that. These companies’ websites reward their affiliates (or visitors or members or customers, you get the drift) for every new visitor they bring to the website. This reward can be in the form of cash or gifts. The affiliates have to come up with their own marketing skills to promote the website/product. Nowadays, affiliate marketing is fast becoming a means to get easy cash. Though it is an uncomplicated means to earn money, one does need to make a bit of effort before their bank account can get fatter. Websites also require you to invest in some money before you can begin earning. When you start off, you’d be required to write for the affiliate links in order to promote them. This can include blogging, writing reviews, participating for forums, and the likes. Once you learn the nitty-gritty associated with affiliate marketing, it can be a smooth sail. Be open to new ideas and constantly innovate your marketing strategies to earn attention and promotion. Copyright © 2019 Content Writing Blog. Powered by Wordpress.